Venus Williams beat Elena Dementieva in three sets (6-4, 4-6. 6-3) at the Sony Ericsson Championships. Do you think your tennis mindset is important to tennis success? 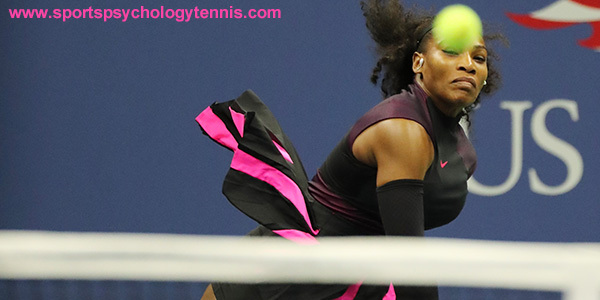 Williams’ does… Her victory was a result of her sound tennis mental toughness and positive mindset. Venus Williams understands that a tennis match doesn’t go exactly as planned. You can’t always hold serve or have the perfect mistake-free match. Top tour pros, such as Williams, are able to accept mistakes and move on. 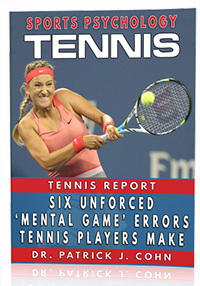 Dwelling on mistakes, a weak mindset for tennis, can translate in a loss. Williams doesn’t like to think about mistakes. She committed 10 double faults in the match, but did not let it affect her mindset or confidence to play points…. I find that thinking about your mistakes can lead to over-analyzing. You begin to over coach yourself by trying to fix your strokes, which causes players to tighten up in a match. Williams’ mindset about mistakes allows her to stay in the present and focus on the next point. 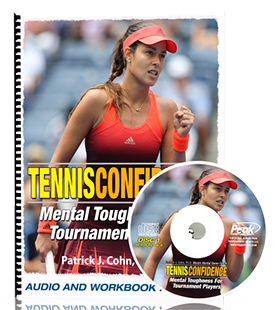 Here’s your tennis mental toughness tip for today: Players with a positive mindset in tennis see challenges as an opportunity for success rather than defeat. Venus felt challenged about having to play a third set, and used it to spur herself to come out on top. Venus Williams’ tennis mental toughness helps her bounce back after mistakes, trust her skills and focus on success.